Around The Castle Landscape Design, Inc. Comment: 50 ft block wall back yard. 95 ft side yard. Comment: I have a floor to ceiling all brink fireplace that I would like refaced with stone or tile I want a contractor that has significant experience in this type of work. I would like references and pictures of similar projects. Contractor must be licensed and bonded. Comment: I need a half circle planter built around a tree. The ground is declined from back to front of planter and I already have the brick and mortar. I would want it to be about a 3 ft radius- thus 18.5-19 ft circumference. Comment: Need backyard terraced to reduce soil erosion. Comment: Backyard Hillside needs a few retaining walls to terrace the hillside and reduce soil erosion. Lake Forest Brick & Stone Masonry Contractors are rated 4.65 out of 5 based on 759 reviews of 23 pros. 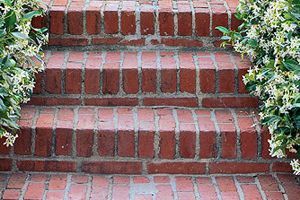 Not Looking for Brick & Stone Contractors in Lake Forest, CA?